The central california dream home is a stunning 7,000+ sq. Ft. Mediterranean inspired design with interior features such as a gourmet kitchen, power slide up kitchen windows, granite counters, travertine floors and a sliding glass wall brings the family room to life as it merges with the beautiful outdoor patio and pool area. Ocean views are captured from almost every room in the home as are the ocean breezes. Utility bills are zero with solar on top of the 8,000+ sq. Ft. Barn/shop. Sitting on top of a hill, it's a beacon of mediterranean beauty and a once in a lifetime opportunity. This mansion could be sold furnished, contact your agent today! 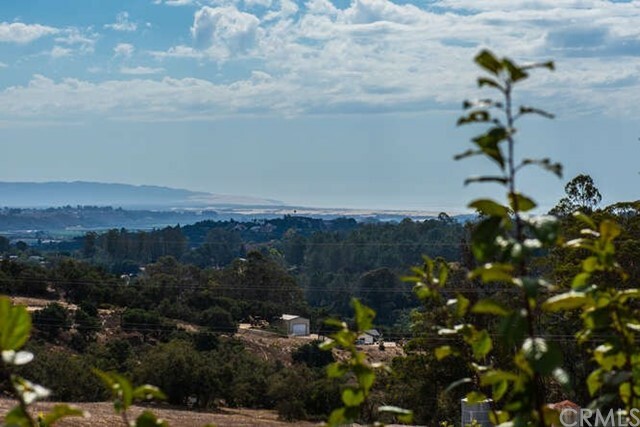 Listing Agent: Shane Deberti Listing Office: Miramar International Inc.
A rare development opportunity on 40 acres in arroyo grande! This mostly level blank canvas on the mesa is adjacent to monarch dunes trilogy resort golf course and housing development, just waiting for a savvy investor to turn it into an upscale residential subdivision. Some higher areas on the land have ocean views and there is a previously approved tentative tract map for 8 lots of 5 acres each. The approximate 40 acres is made up of two adjacent parcels (apn 091-204-034 and 091-204-035) to be sold together. Come take a tour today! 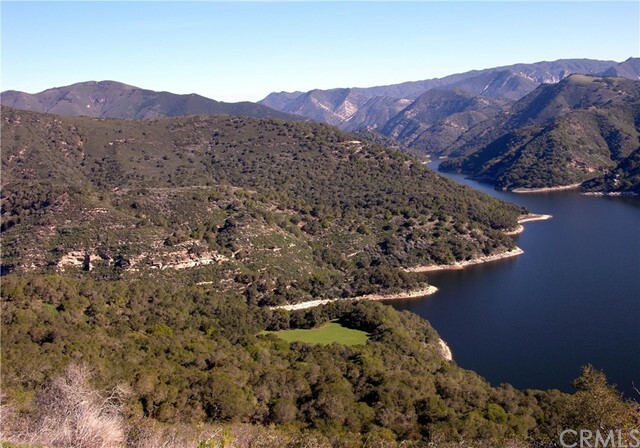 Lopez lake frontage and sweeping ocean views from this appealing 612 acre haven. There are 5 legal parcels and approved plans for a custom home and/or event venue compound -- many development possibilities! Includes a 465 gallon per minute well. The land features beautiful oaks and sycamore trees throughout the ranch. This would be an ideal development property or location for an ultimate family compound, dude ranch, horse and cattle, event center, hunting and many other possibilities. Close to town with easy paved road access. There are good ranch roads suitable for atv's, mountain bikes, horses or motorcycles. The ultimate private lake front ranch ten minutes from arroyo grande! A great deal of professional attention has been focused on the plans and future for this very appealing ranch. Entire ranch for sale, or possible investment partnership opportunity. Call for details. This property has great development and agricultural potential. Distant ocean views from higher elevations and golf course views. 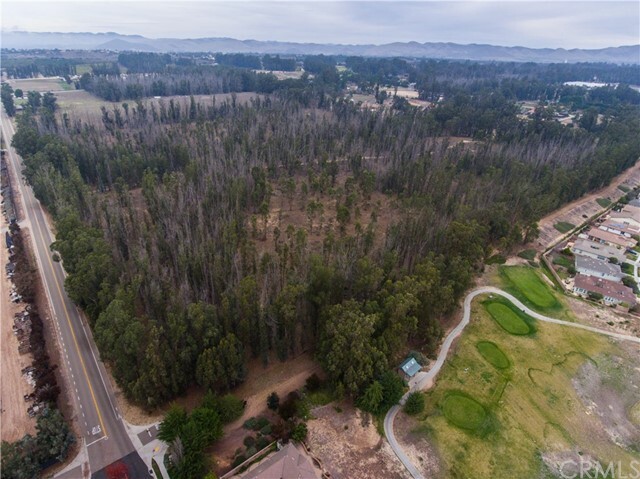 Uses include: subdividing for up to 8 homes on 5 acres each or 7 clustered 1-2 acre parcels plus one large parcel, avocados, berries, citrus, equestrian, estate compound and more. It is bordered on two sides by avocado orchards and one side by blacklake golf course. Two mobile homes on property. One will stay, but value is in the land. Rolling landscape with peek of the ocean from several locations. Shared, registered community well (black lake canyon water system) on southwest corner of the property. Best use may be a combination of high end homes and agriculture. Mesa view residence, custom designed with practicality and purpose in mind by renowned architect lenny grant of rrm design group. Situated on a sustainably landscaped 1. 7 ac. Bluffs lot on the mesa overlooking the ocean and dunes, this 5 bed/4. 5 bath home is a sophisticated blend of farmhouse style and modern, european architecture. Over 3900 sq' of luxury living takes full advantage of the rural setting and sunset views. Magnificent entry welcomes you with floor to ceiling glass accordion doors, built-in aquarium, and vaulted two-story ceilings. The home's quality craftsmanship is displayed throughout with natural wood, polished concrete and hardwood floors, built-in cabinetry, ample windows, and high-end finishes. Layout offers a sense of togetherness while supporting hospitality. The main living area with 2-way fireplace can be partitioned by barn style glass doors, or joined with the dining and kitchen to create a grand space with seamless transitions. Kitchen features commercial and professional appliances, apron sink, custom cabinetry, and marble tops. 3 master suites integrate walk in closets and private bathrooms wrapped in beautiful glass tiles. The exquisite master features a fireplace, balcony, & bathroom with vast soaking tub, steam room, sauna, huge walk-in closet and romantically lit shower. Gym, office, and 4 car garage are practical amenities included within this masterpiece. All strikingly topped with a third story loft, displaying vistas in all directions. 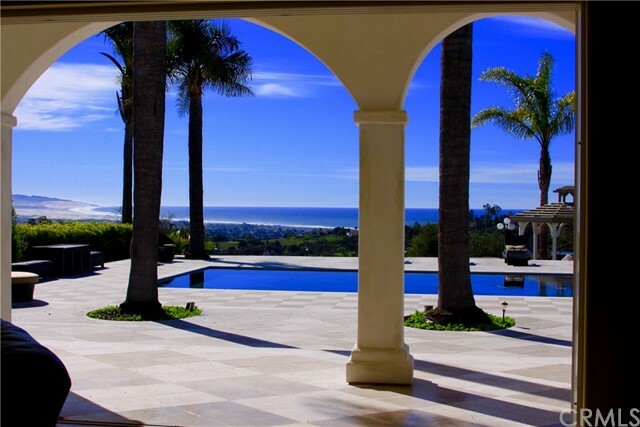 360° ocean, dune, hill, valley, & city views from this one of a kind gated 22+ acre hilltop estate! The ultimate in privacy, seclusion, peace and quiet yet minutes from the village of arroyo grande. Upgraded with slate & travertine floors, granite counters, new interior paint, custom cabinets and open floor plan. 1000’ great room with vaulted ceilings. Separate master suite w/fireplace. 3000 sf of patios & walkways. 5 car finished garage. Rv site. And…amazing views including up los osos valley to morro rock on a clear day! Many possible uses for this property including raising animals, gardening or small farming. Please call to view this marvelous property. Sweeping views in every direction! Looking for privacy and views? This hilltop mediterranean masterpiece showcases unending views in all directions from point sal to pismo beach; from the seven sisters mountain peaks to the edna valley corridor, and from the pacific ocean to the santa lucia mountain range. Sitting behind a privacy gate on an oak studded 8. 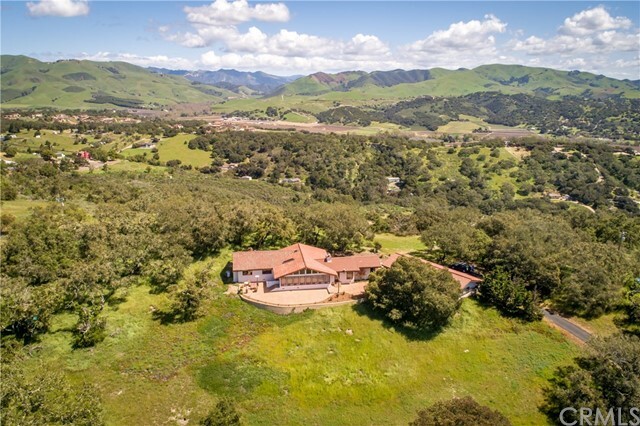 59 acres located between san luis obispo and arroyo grande this exquisite estate boasts 4,832 sq. Ft of living space with a grand entrance into the towering 25 ft. Foyer. Continue along to the living room, formal dining room and breakfast nook that have incredible views towards san luis obispo and the seven sisters peaks. This home includes 4 spacious bedrooms, 3 large bathrooms, three fireplaces, and a wine cellar. Saltillo tile floors, solid core mahogany and oak doors, handcrafted handrails, light fixtures and chandeliers add to the mediterranean architecture of this home. The vaulted ceilings throughout the home have an exposed and elaborate truss system that is stunning to the eye. A library sits at the top of this home and has windows showcasing the dramatic views and also looks down into the foyer at the front entrance. Multiple decks around the home add to the entertaining space and take in the expansive and stunning views. Have i mentioned that you can have views and privacy and still be just minutes from the airport, shopping and numerous wineries? Seclusion for privacy. Views to enjoy. Acreage for your loved ones: both humans and animals. That's what this wonderful property offers. These 2. 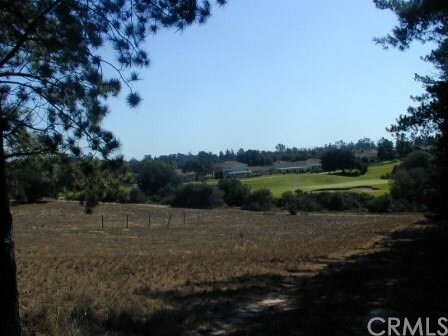 58 acres are few minutes drive from the village of arroyo grande and san luis obispo. There are miles and miles of ocean views and on a good day, you can even see the waves breaking. The custom split-level house has about 3,800 square feet and four bedrooms, three bathrooms. Special features include: paved driveway off cul-de-sac with brick pavers; great room with kitchen, dining room and sunken living room; wood burning fireplace with a gas starter and brick hearth; chandelier in living room; center island in kitchen with built in electric burners and exhaust hood; built in electric stove; garden window over double sink; tiled back splash; chandelier over dining area; bay window in dining area and oak cabinets throughout house providing plenty of space; large pantry/laundry room off kitchen; and custom redwood deck. Main level includes master and two other bedrooms. Master bathroom has custom free form tiled shower. Hall bathroom has combination free form tiled shower and bath tub. Downstairs includes fourth bedroom and third bathroom as well as studio and a large bonus room off the studio. Outside sprinklers service the good-sized backyard. Producing fruit trees include: multi-budded plum, pixi-sweet tangerine, mexican lime, myer lemon, bing cherry, macadamia nut, gold mine nectarine, black mission fig and guava trees. 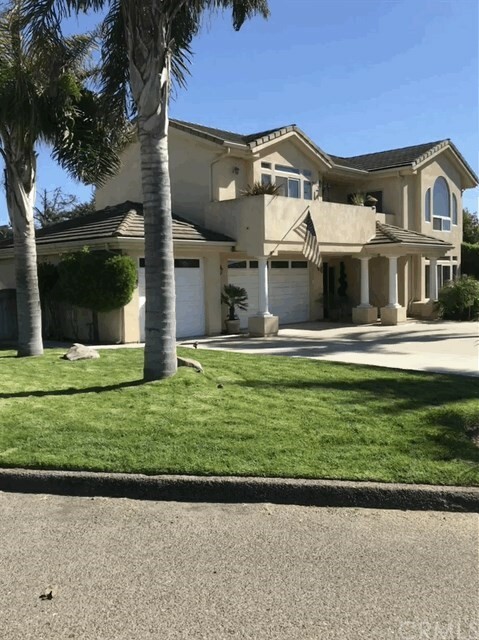 Don’t miss this beautiful home with wonderful views of the dunes and ocean! Three bedrooms 2 1/2 baths, each bedroom has a walk-in closet, inside laundry, crown molding, marble and flag stone fireplaces and ceiling fans. Gourmet kitchen with cherry wood cabinets, stainless steel appliances, granite countertops and recessed lighting. Dream master suite with walk in closet, large master bath, double sinks, tub, separate shower and tile floors. Inside laundry room, three car garage and large lot. This beautiful home comes fully furnished. Located on a quiet cul-de-sac and a short distance to the beach, restaurants and shops. Centrally located between invigorating san luis obispo and the world-renowned wine region of edna valley in arroyo grande, 2065 oak way is a rare offering that provides the best of both worlds. Wake up to breathtaking sunrises and lush greenery on your own gated 5 acres. Live outside of the fog zone in a beautiful micro-climate 15 minutes from chic downtown san luis obispo, and 4 minutes from the adorable village of old arroyo grande, with antique shops and fine dining. On the clearest days, you will enjoy a peek a boo view of the pacific ocean. This beautiful home offers a three bedroom, 2 1/2 bath layout, a bonus room with separate entry and laundry room. Mature olive trees line the driveway, and tall palm trees adorn the beautifully landscaped walled backyard with decks, expansive flagstone patios, and a beautiful lawn. It's hard not to call this place home as soon as you walk in the doors. Quiet country living close to town, yet only 15 minutes from beautiful pismo beach.